My apartment in Palermo is very comfortable. The walk to the center of the city from the apartment is less than a kilometer. The city’s free circular-route bus is just outside the door. The wide street around the corner runs between ancient city walls and the Mediterranean Sea. Good, affordable restaurants are there and all over town. Sunday morning I found a large flea market outside my door. Less than 24 hours after I arrived I asked to stay another week and cancelled my plans for next week. 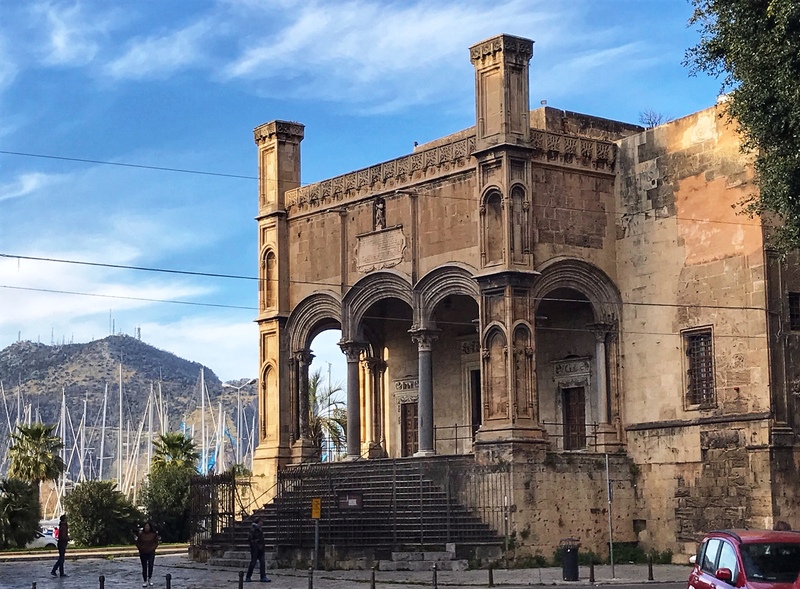 This photo of the cathedral of Palermo doesn’t include the entire exterior. The building is a full block long. This city that has known may rulers over the centuries. There are layers of history to explore. Just one example — the cathedral. Quoting from the tourist brochure: “The cathedral was erected in 1185 by the Archbishop … on an ancient basilica, which had been transformed into a mosque by Muslims and was later reconsecrated to the Christian faith by the Normans.” The façade dates from the 1300s – 1400s and the dome dates from 1781. 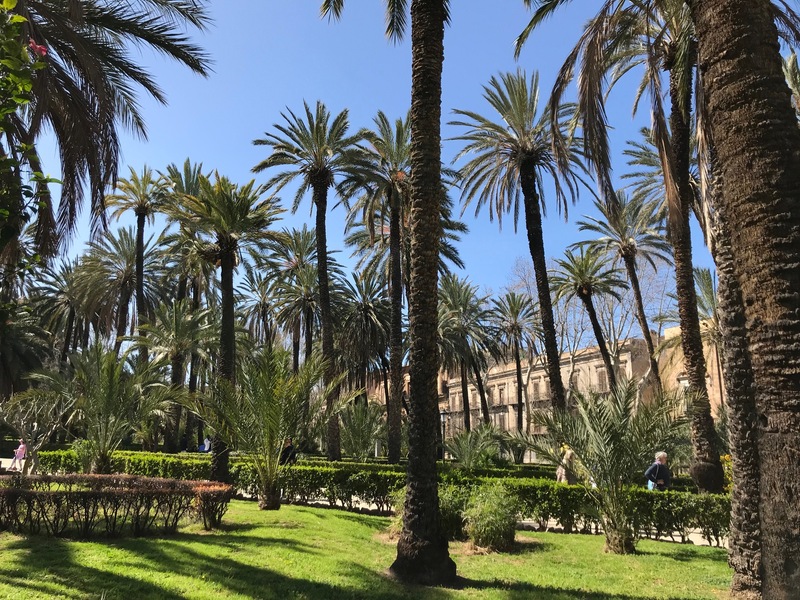 One of the many beautiful parks in Palermo. The city of Palermo is alive with busy people, young and old. It’s filled with beautiful old churches. Many of them don’t get much use these days. There is an enormous opera house and many theaters as well as art galleries and museums. Parks are dotted all over town. The one across the street from my apartment is said to be the location of the largest tree in Europe. Another is a playground running for blocks along the edge of the sea. A well-regarded botanical garden and a neighboring park are near it. Small mountains (or big hills) overlook the city. 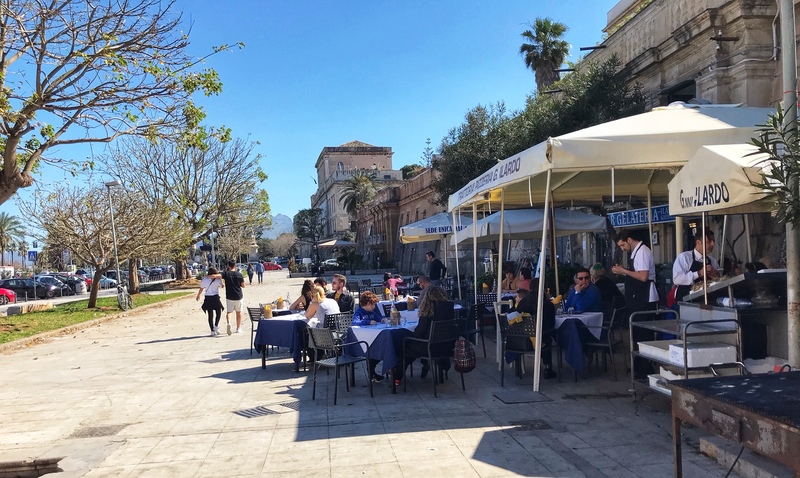 The wide walking area along the Mediterranean Sea in Palermo, showing a restaurant that specializes in pizza and gelato! Yesterday I boarded the free bus that runs through the old part of town just for the free city tour it provides. I got on at the first stop about 9:00 in the morning. The bus took me to a part of town with modern apartment buildings, large stores (including one of those big German groceries that are covering the world), and past the hospital. Soon it was packed with people, most of them pensioners. The noise level was surprising. The lady sitting next to me was so insistent that another woman using a walker take her seat that she argued loudly when her offer was declined. At each stop the noise level increased as people pushed their way on and off the bus. It was all a new experience! 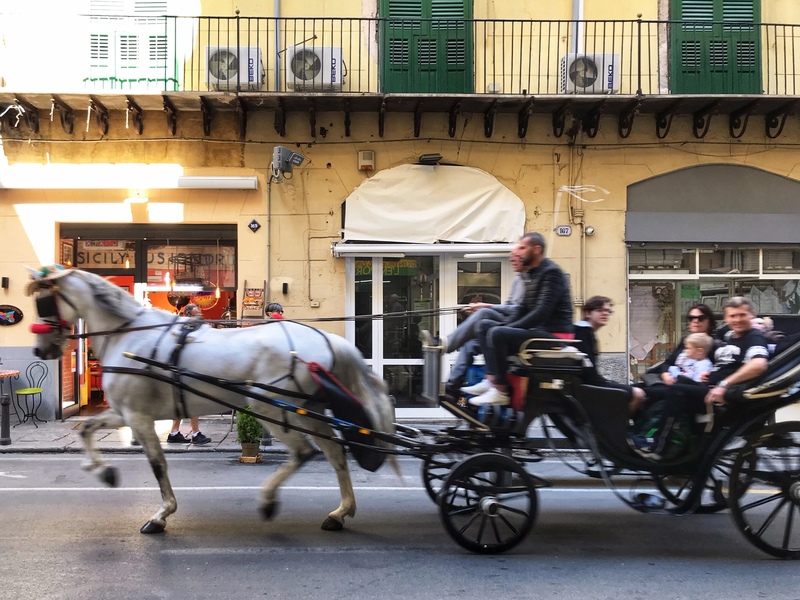 An out-of-focus photo of a family enjoying a day out in Palermo. Don’t miss the horse’s hat! The people here are genuinely helpful and friendly. I got really lost a couple of days ago and asked a number of people for directions back to the cathedral, which is my major landmark. Invariably they smiled and struggled to understand what I needed and pointed me in the right direction. One woman actually interrupted her conversation with a friend to walk me part way “home.” I have found Italians to be this kind and helpful everywhere I’ve been. 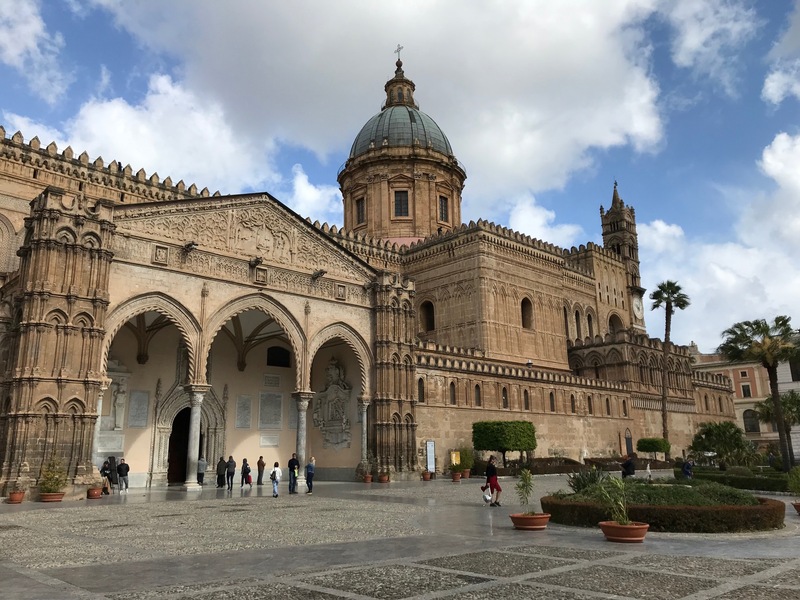 Stay tuned for the further adventures in Palermo! 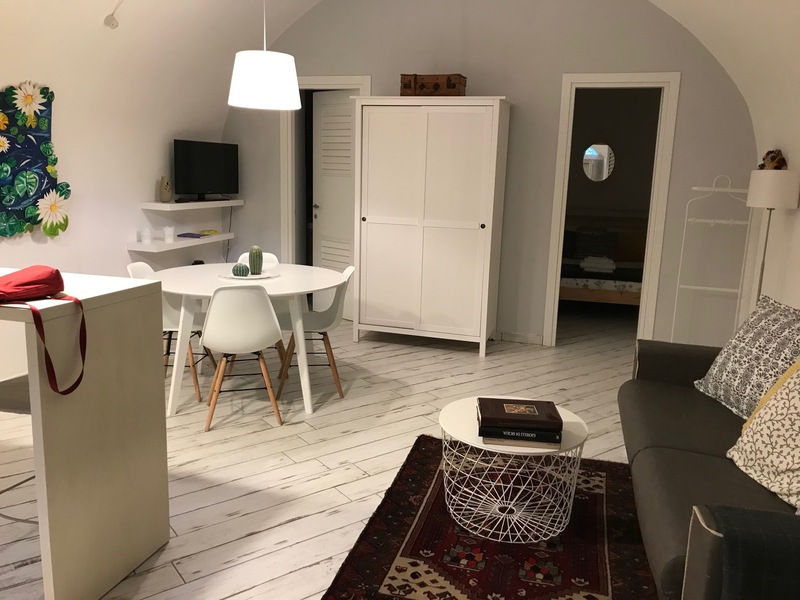 PS: Here’s AirBnB’s site for the apartment I’m loving. All so beautiful!!! Do know how wonderfully fortunate you are to be doing all of this traveling? I’m soooo jealous! !